Farringdon is one of those ‘week day’ areas that is bustling between 10am and 4pm Monday to Friday but as soon as the workers go home, things quieten down. 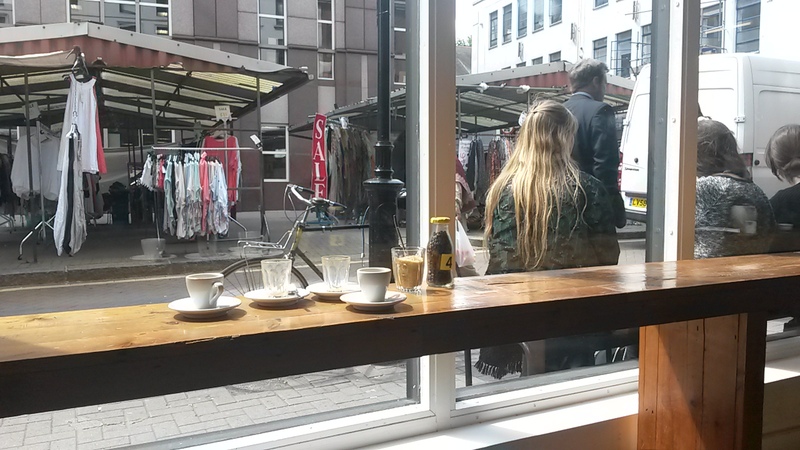 So, it’s good to see that despite these limited hours, there’s a still a number of great coffee shops in the area with two big names literally across from each other on Leather Lane – Prufrock and the Department of Coffee and Social Affairs. 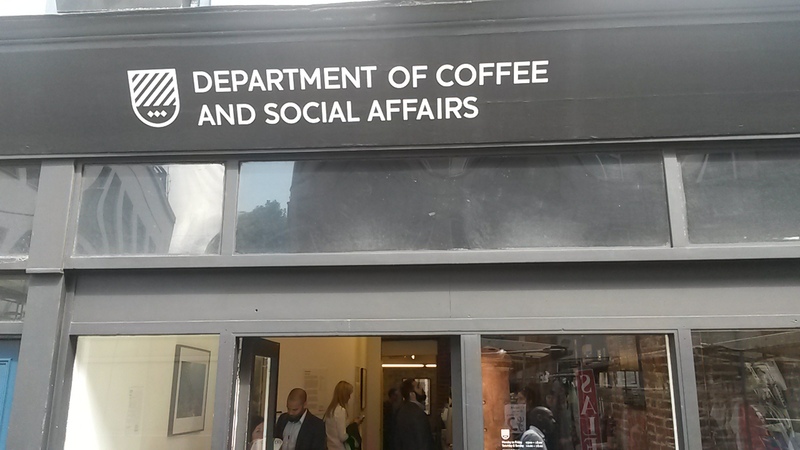 The Department was opened in 2010 and since then the owners have opened four more speciality coffee stores across London, each one an individual venues with its own name and style. Considering this is one of the big names in the the London coffee scene, I was a bit let down by the cappuccino. That’s not to say it was by any means bad. Compared to most cafes, this was a great cup. However, it just didn’t blow my mind like some have done. The cappuccino was smooth and creamy, with an excellent microfoam. However, it was served a little too cold for my tastes and it didn’t seem to have as much depth or complexity of other big name brews. And it was £2.70. Still, it was still a four out of five cup and definitely worth a trip down Leather Lane’s bustling little market for it. The decor here is classic London coffee shop. White walls, dark wood and, well, that’s it. They’ve gone for the less in more feel here, which works well as the cafe is broken into a number of small rooms, so the basic decor and large windows keeps it feeling light and fresh. However, I’d like to see cafes adding a bit more personality in the future. If someone just plonked me inside the cafe I’d be hard pressed to tell you which one I was in. 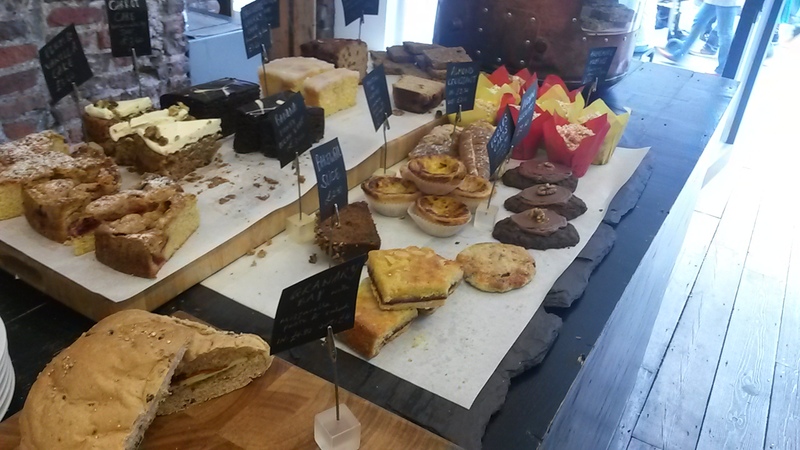 This really is just a coffee shop with its food offering extending to just the requisite baked goods and a couple of sandwiches. They all looked tasty but if you want food your best bet is to visit the many and varied food stalls on the market outside. While the service was friendly, I’m knocking a point off for the order and the bar then find a table set up. If they have floor staff serving coffees to tables, surely they can take orders while they’re a it? This truly is a social hub for the area. 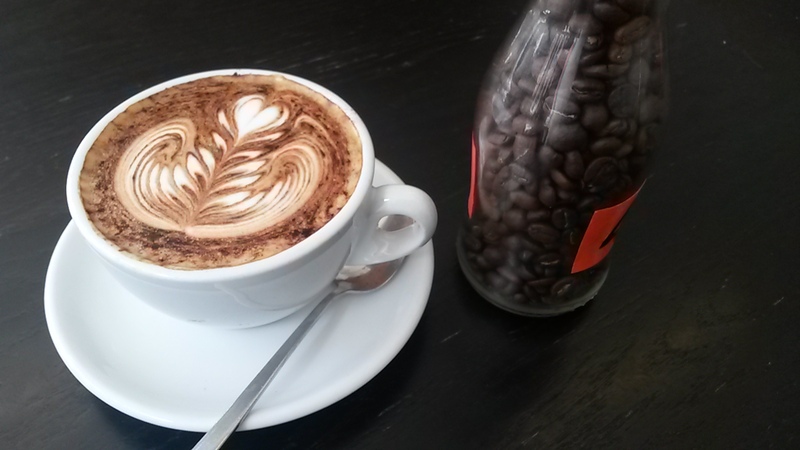 Along with some excellent photography adorning its walls, the Department also offers meeting rooms, barista training, coffee making guides, local area guides and much more. This is how a cafe should be run – embrace your surroundings and become part of the community. A great place that lives up to its name offer great coffee along with a much needed social hub for the area.